I am not going to make any excuses here..I love to create adult beverages. Give me a theme and adorable glasses ,my wheels start to turn. I saw these cute martini glasses at one of my favorite stores and I snatched them up on Black Friday . I knew at that moment I would be creating a few Christmas Martnis. I packed up my liquior suitcase, yes I have one, and brought my toys to a friends house and started to create Christmas magic. 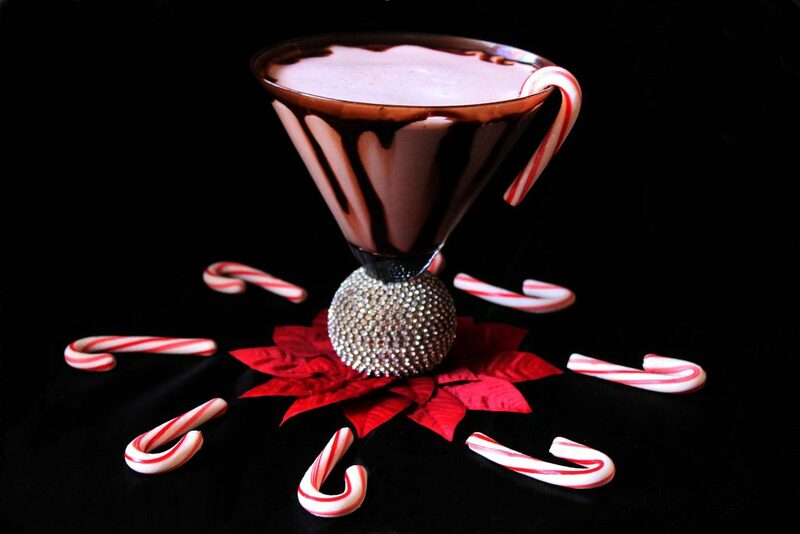 She was my martini guinea pig and this chocolate peppermint martini was one of our favorites. Serioulsy, nothing says Christmas more than chocolate and peppermint.